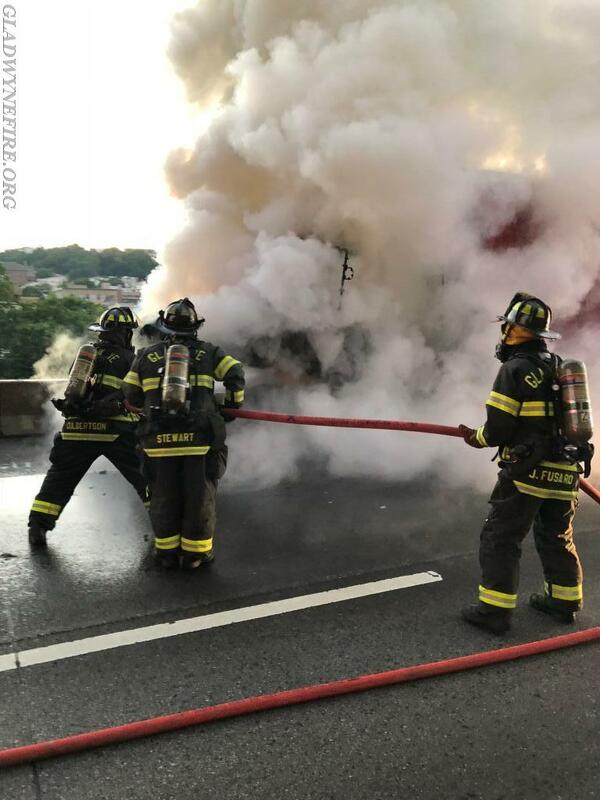 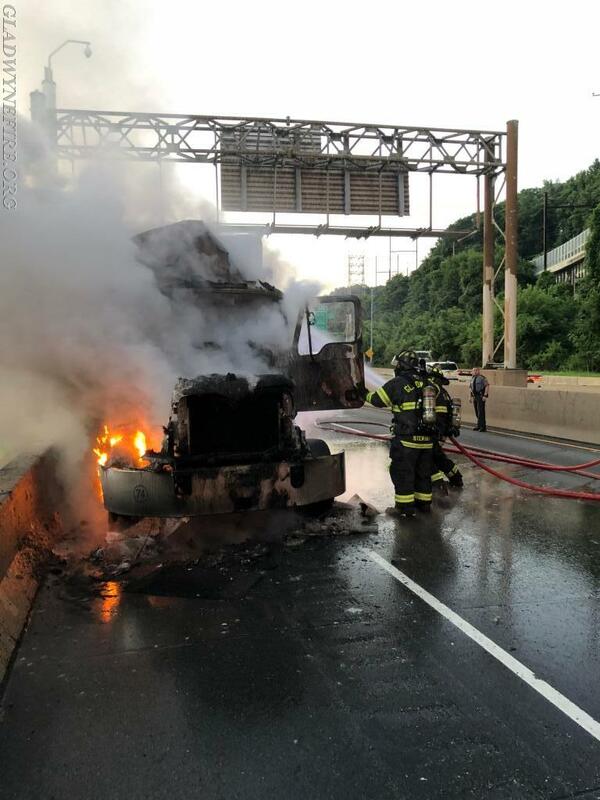 Gladwyne Firefighters were alerted early on Tuesday morning to assist Belmont Hills Fire Company with a tractor trailer on fire on the Expressway. 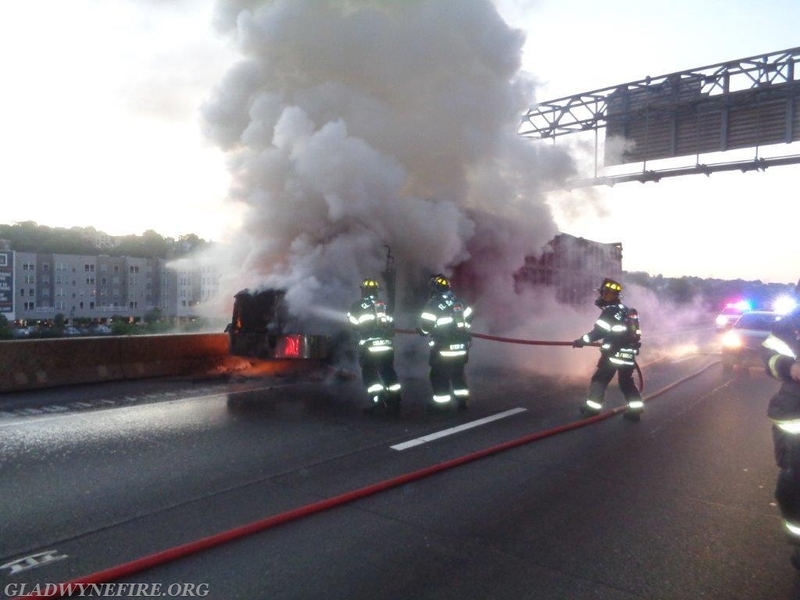 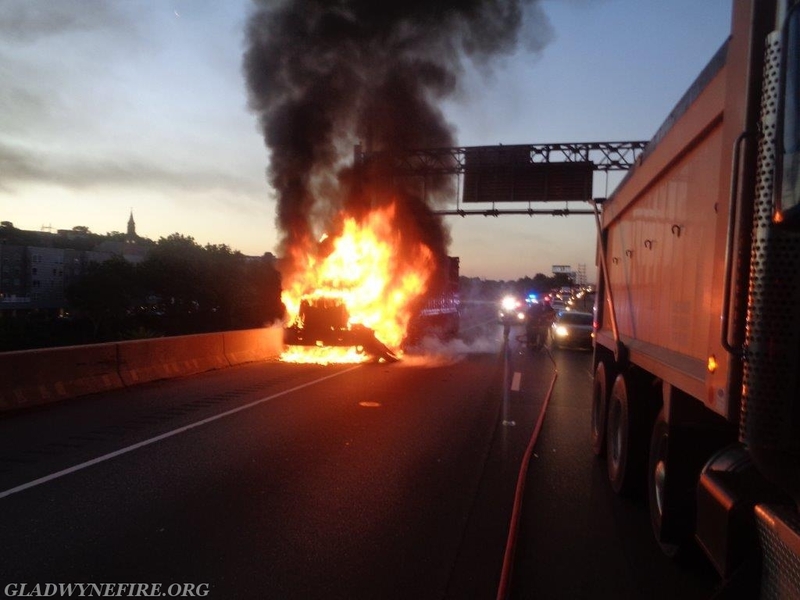 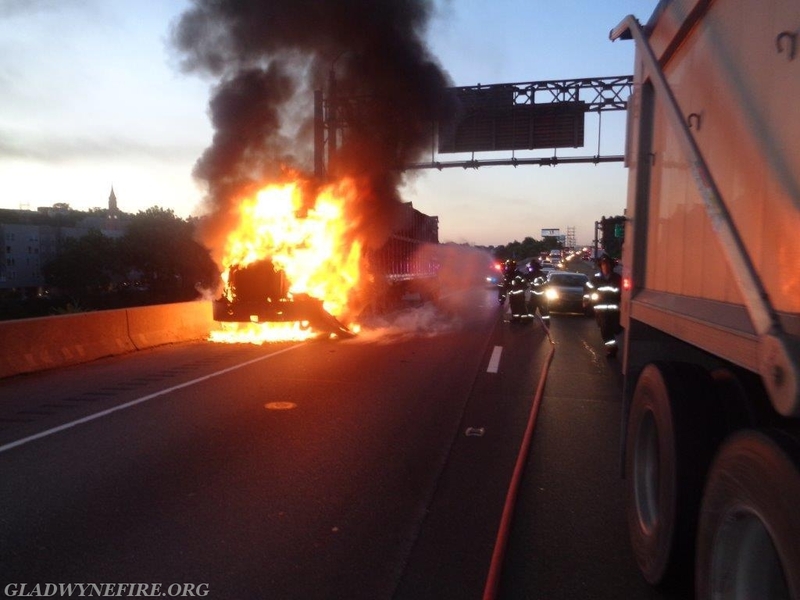 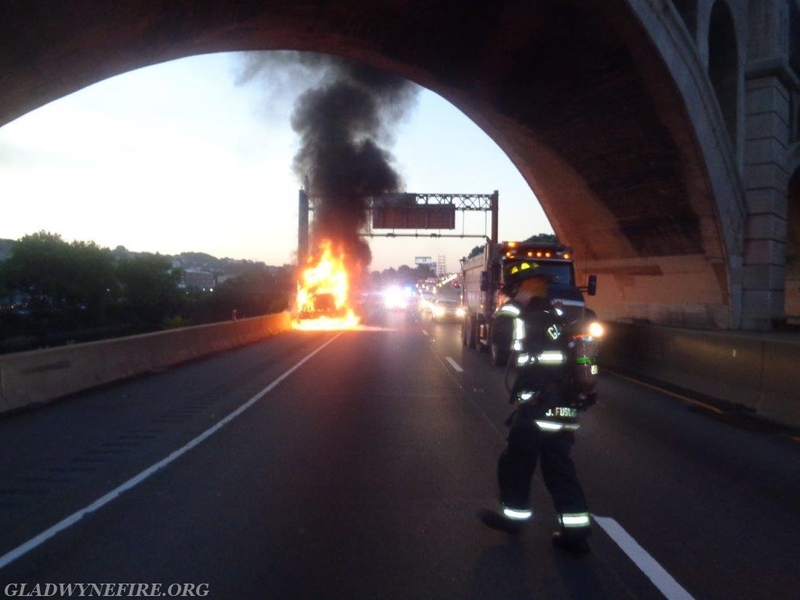 Upon arrival of Engine 24 the crew found the cab of a tractor trailer well involved in fire. 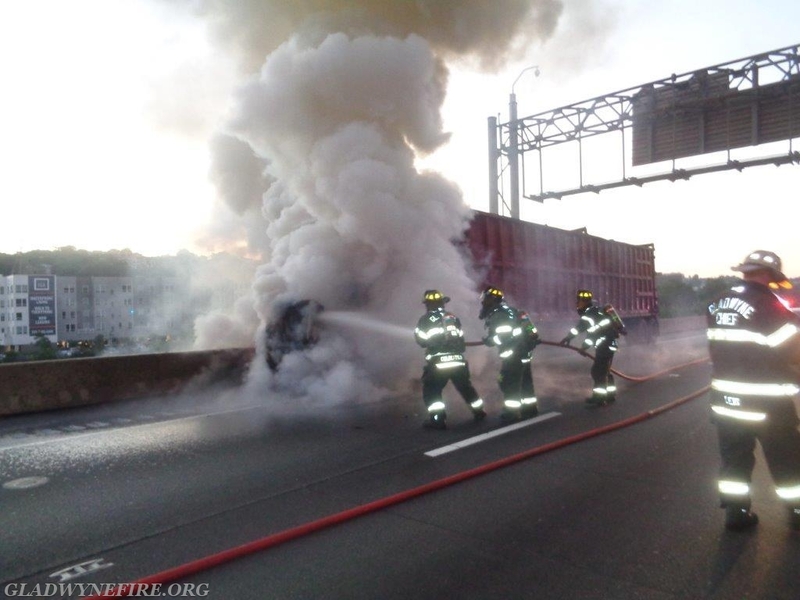 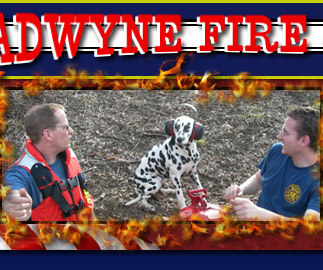 The crew extinguished the fire quickly and were clear of the Expressway within 30 minutes.